This quick and easy DIY is sure to put a smile on your valentine's face! 1. Cut a white cake round into a 4" x 4" square. Don't have a cake round? You can use thick white card stock or cardboard. 2. Grab a roll of pretty washi tape and make your #. 3. Print out your XOXO printable. 4. Trim your printable so that your labels will fit your tic tac container(s). 5. Peel the branded sticker off your tic tac container and replace it with your XOXO label. Don't forget to sign your name! 6. Secure your tic tac container to your board with two glue dots. The glue dots are easy to remove when it's time to play. Play Dough is known as doh-doh in my house. Both of my girls were introduced to the stuff around age 2. My girls are 6 and 12 now and I still keep two large bins of dough and accessories around because they love to roll, knead, and sculpt. Play Dough is the great common denominator. For little ones it is a wonderful material for sensory and imaginative play and it is great for developing hand-eye coordination and fine motor skills. For older kids it allows them to slow down and just focus on what is right in front of them. There is something very calming and therapeutic about rolling, pounding, and chopping dough. I love this valentine idea because it's fun for ages 2-102, it is colorful and tactile, it does not involve sugar, AND it can extend far beyond the day of hearts. Don't you think these would make really lovely party favors?! Me too! Pop over to the ART CAMP STORE to download your printable! This is how I feel about Play Dough. Store bought or homemade, it's all good. Stir together the flour, salt, and cream of tarter in a large pot. Next add the water and oil. Cook over medium heat and stir. Keep stirring until the dough has thickened and begins to form into a ball. Remove from heat and then place onto wax paper. Once it is cool to the touch, you can knead until smooth. Divide the dough into 5 balls (one for each color). I highly suggest wearing plastic gloves when it's time to add the color. If you don't have gloves you can color mix inside a Ziploc baggie. You want to start with about 5 drops of food coloring, you can add more if you want a more vibrant dough color. Store the play dough inside the bags once done to keep soft. This dough should keep for up to 3 months if stored properly. 1. Make or buy your Play Dough. 2. Roll the dough into tiny, colorful balls (think quarter sized). 3. Slip it into a Ziplock baggie. 4. Trim your baggie, if needed. 5. Seal the top of your bag (to keep the dough moist) with clear packing tape (or whatever you have on hand). 6. 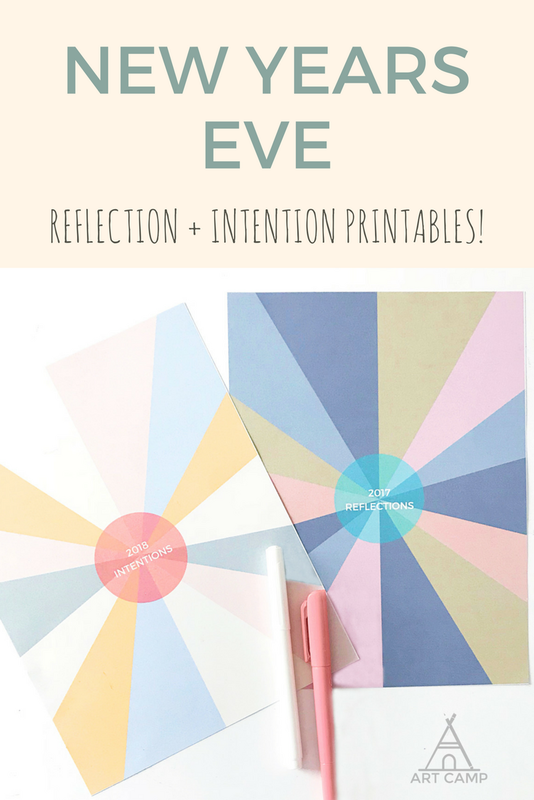 Print and trim your rainbow greeting. 6. Staple to the top of your bag. I am so excited to introduce you to our gem heart valentines! I love that you can add a little color or sparkle and really make them your own! My girls colored some of their hearts with OOLY Brush Tip Markers and painted some with watercolor. We are having a hard time deciding which version we love the best. If you want to make some of your own, pop over to the ART CAMP STORE and download the "You're a Gem!" bundle. In the bundle, you will find the smaller class pack valentines as well as the larger gem heart coloring page, which also makes a great valentine for teacher or a beloved family member. Check out how you can turn the small hearts into necklaces and the bigger hearts into a garland! * Please check your printer specifications when choosing your card stock. We suggest 65 lb + paper weight but not every printer can handle that. 1. Print out your small heart "you're a gem" sheet. If you want smaller or bigger hearts just adjust the image scale in your printer settings. 2. color your gems with the material of your choice. 3. When the color has dried cut out your gem hearts and glue them onto a thin sheet of cardboard for added structure and durability 4. Cut out your reinforced heart and coat them with a light coat of Mod Podge or fixative spray to protect your design. 5. When the sealer coat has dried punch a small hole in the top center and add the thread of your choice. 1. Print 4-5 pages of the large heart 2. Color your hearts and cut them out 3. add a skinny line of hot glue across the upper back section of your large gem hearts heart 4. add the twine strip into the glue 5. skip a few inches between hearts and repeat steps 3 and 4 until you are satisfied with the length of your garland 6. Time to hang! We all need space and reflection. Like ocean waves, we must retreat first before we can build more strength in what we are doing. work, love, friendship, fitness, flexibility, connection, creativity. You may have noticed that it has been a little quiet on Ye Olde ART CAMP Site. I am taking a much needed "winter retreat" to be with my family and myself. I spent most of October, November, and December as a human doing and I am slowly returning to a state of human being, which is good news for all of us... especially my kiddos. I wanted to pop in and share what has become one my family's favorite New Year's Eve traditions. I am slightly allergic to the term "New Year's Resolutions". Even the definition of the word resolution seems harsh: a firm decision to do or not to do something -or- the action of solving a problem, dispute, or contentious matter. I cannot read the word without seeing visions of people surveying their bad habits and creating elaborate, expensive fix-it plans. It just makes me sad. So here is how we ring in the new year at my house. Before the clock strikes midnight, we reflect (think, consider, contemplate, ponder, meditate) on the past year and we set intentions (to aim with purpose) for our new year. We write two lists and, if we are in the mood, we share them with each other. Oh, and candles are usually involved because everything is made more special with candlelight. This year we are going to write our reflections and intentions on these pretty sun bursts! I made some for you and your family too! If you are already signed up for our newsletter you will find these pretties in your weekly newsletter (aka an email with a clever subject line). If you are not receiving our newsletter, sign up here and claim your prize! Wishing each and every one of you a happy, healthy, creative, and connected 2018! When you find people who not only tolerate your quirks, but celebrate them with glad cries of "ME, TOO! ", Be sure to cherish them. Because those weirdos are your tribe. You know the saying ‘it takes a village’... insert all the things. Life, art, craft, the wild and ever changing seas of social media, work, and MOTHERHOOD. We were not meant to do any of the ‘things’ alone. This time last year I was busy taking my leap and the net appeared. For the sake of the Island, let’s call it a fishing net. The fishing net appeared and my landing was soft and supported because I was surrounded by a group of like-minded, creative, bad A#$ women. We rallied around each other’s projects, swapped stories, tips, and tricks, we shared laughs and inspirational quotes and a deep, deep, love of cardboard. This sweet, virtual oasis became known as the Island and today we are taking our combined love of recycled art, wrapping it up in a big salvaged bow, and sharing it with you! 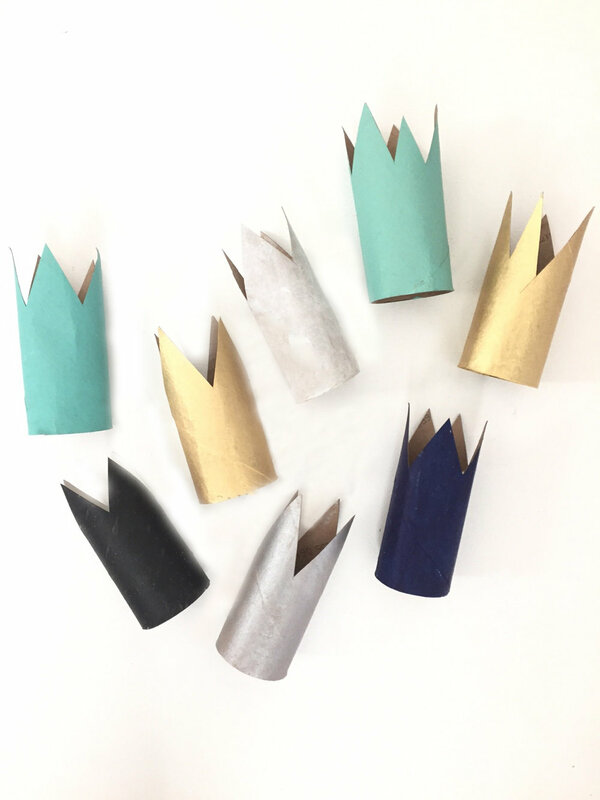 All you have to do to download your copy of 8 Easy, Recycled Holiday Crafts is subscribe to one (or all) of our newsletters and we will send you a free copy to your inbox. The most magical part of living huge chunks of life online in the past year has been getting connected to the artists, makers, creatives, dreamers, and doers in far away lands. My lovely friend, Gina of willowday, is all of the above and she lives in a far away dream land between the city and the sea in Sweden. Gina's feed swept me off my feet last December when it transformed into a winter wonderland of 'just right' Scandinavian splendor for her annual 24 Day Creative Collective holiday series. Snippets of Swedish countryside, rustic slices of panaforte and gingerbread, swaths of pine draped just so. Flickering candles and white against wood, against pine needle green, against deep, chalky black, all bathed in a moody nordic glow. It's a world that whispers magic and rich tradition that simply must be experienced. So it was not even a question when she asked if I would like to contribute to the kids MAKE portion of this year's collective. It was an honor. Meet our little Pinecone Angel, created in Los Angeles but built with magical gold wire wings that fly to Sweden in a nanosecond. You can find the full DIY here.